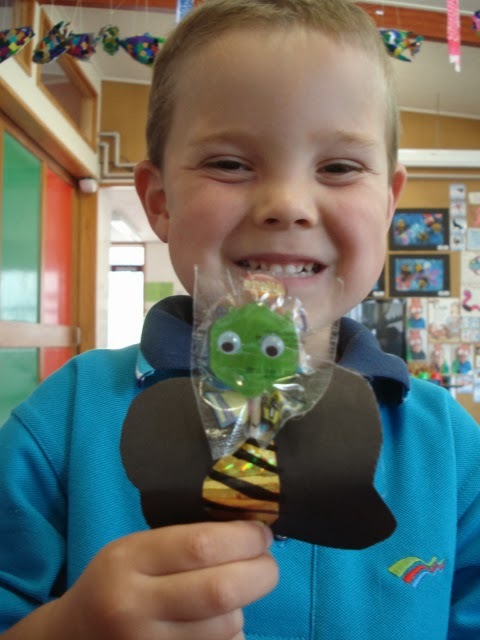 Today we made bee lollipops and wrote a story about bees. 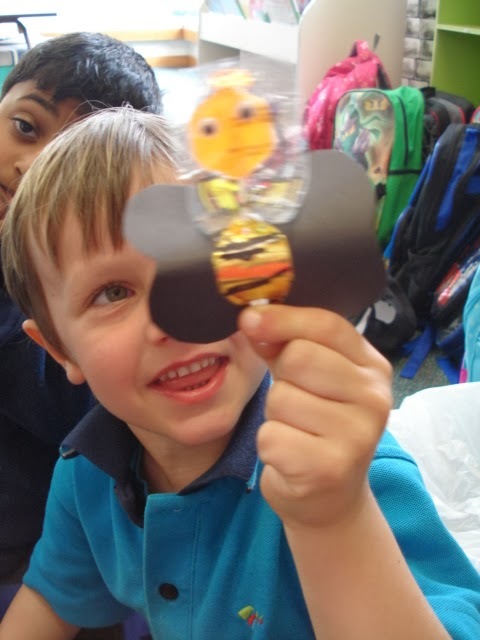 Here is three of our stories: Illinois: "The lollipop bee is collecting nectar to make honey for the people." 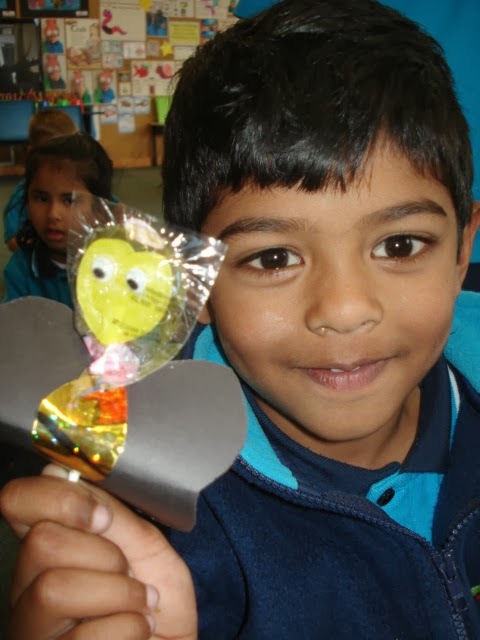 Shivkrant: "The bumble bee lollipop is collecting nectar and having a dance party in my bookbag." Finn: "The bee lollipop is making honey for his babies".